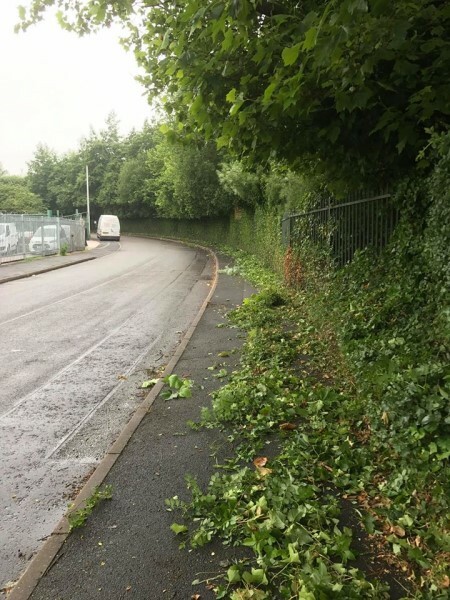 All forms of hedge cutting under taken. 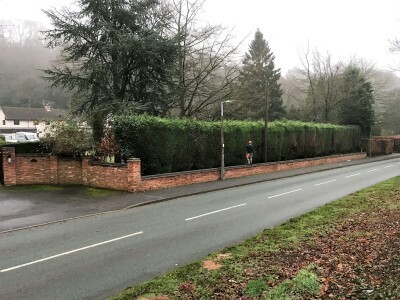 No hedge too big or too small. 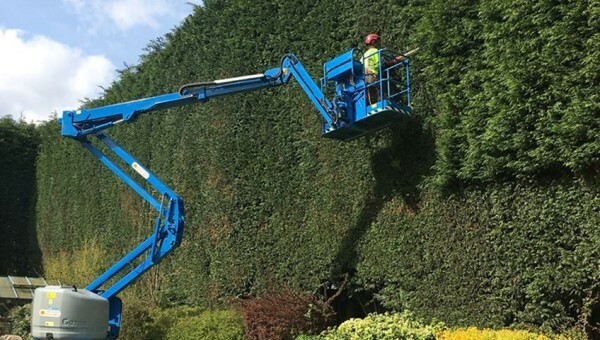 We have all the access equipment and machines to cut any hedge small or large. No job to big or to small!! 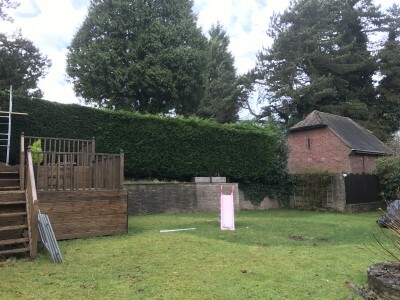 Works carried out throughout the Wolverhampton, West Midlands region and nationwide. We can reach any height with our equipment. 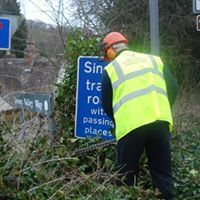 Clearing grub and brambles for Parish Councils. 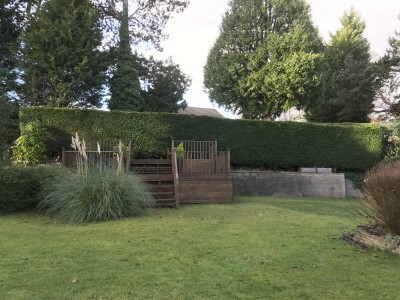 Large conifer hedge row trimmed top and sides. Dealing with a busy road and a wall in front. Conifer all finished. Another happy client. 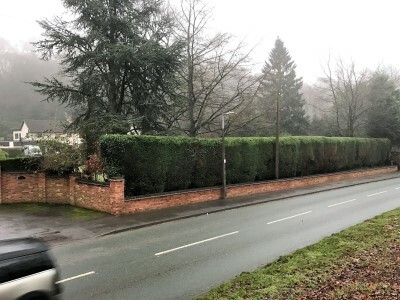 Doesnt look like a high conifer hedge row. Was very high, nothing we haven't came accross before. Got the right tools for the work. All trimmed up and another happy client. 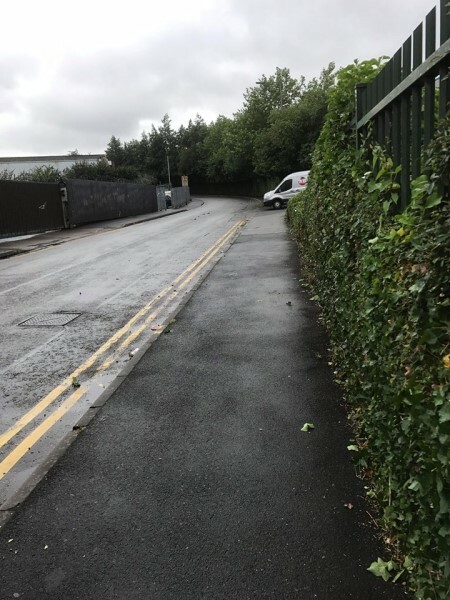 Very limiting access for this hedge. 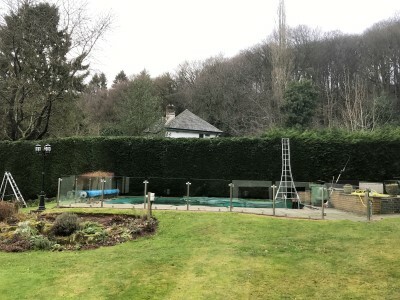 Tripod ladder needed for extra care by the swimming pool. Anyone for a dip!! 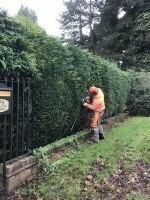 Trimming up a conifer hedge. All brash shredded through our chippers and removed from the premises. 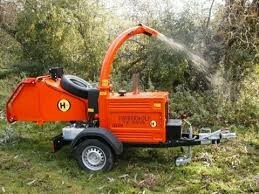 Woodchipper and operative hire available.